Thank you for visiting PSRetirement.com for your Federal Retirement News and other information. We focus on what matters most to federal employees about their retirement plans and benefits along with articles that will shape the Federal Employee landscape will be available in this category. Stay up to date with the latest happenings in the federal retirement world. To view more news, click on the Federal Retirement News section. How to Keep Federal Employees Engaged During Periods of Uncertainty? Since President Trump took hold of the oval office, federal employees have been facing a lot of uncertainty because they don’t know what will happen to their job security, federal employee benefits, retirement benefits, social security, etc. In such a situation, the agencies must ensure that the employees are kept engaged. What Engaging Federal Employees’ Means? Employee engagement in today’s world is not just about keeping the federal employees’ happy or providing benefits. It also means mapping the psychological needs that drive people to motivate them. It also means harnessing that motivation to direct it towards organizational goals. When people know what’s in store for the future, they feel reassured. People can easily cope with and adapt to stressful or negative circumstances if they have a clear idea of what to expect. People always strive to make sense of the world and they like to feel that the actions they are taking are worthwhile. Some of the ways that help people meet the need for a purpose are enhancing the wellbeing of others, contributing to a greater shared purpose and the opportunities to express one’s values. People also need and expect to be given a choice. Self-directed behavior offers the sense that the individuals are the casual agents in the actions they take and they are not dependent exclusively on external constraints. People also need to connect with others and this need is usually fulfilled by sustained relationships that offer a sense of acceptance, warmth, and consideration. It is not filled by superficial contact only. People also have an inherent need to feel capable and competent. In order to meet this need, they pursue activities that offer opportunities for growth and are challenging. How to Ensure Employee Engagement in Federal Employees? On the basis of the results shared by Federal Employee Viewpoint Survey, the Government Accountability Office has recognized a few drivers of employee engagement in federal employees. They are centered on three core needs of the employees. Autonomy is measured as satisfaction and the involvement in decisions. The relationship is measured at satisfaction with support for employees of different background and work-life balance. Mastery is measured as opportunities for development and satisfaction with feedback. GAO analysis says that a key driver of engagement of feds is the communication from the management. If there is effective communication from the management in times of change, it can safeguard employee engagement while reducing uncertainty and providing a sense of shared purpose. In order to enhance the sense of shared purpose, leaders in the agencies must communicate about how the role of employees fit into the organizational vision and how employees’ contributions are making progress to achieve the vision. Employees get a sense of purpose when they are given nonmonetary recognition as forms of recognition that have extrinsic value like an additional status associated with the promotion or as a bonus can undermine the intrinsic motivation for the work of an employee. When you do it right, recognition shows that the work was impactful and appreciated. To do it right, one should recognize direct contributions that were made to organization’s overall mission, along with smaller contributions that make day-to-day operations to go very smoothly. When an organization is undergoing a change, the employees often feel that they are losing autonomy. In such situations, it becomes vital to give employees a voice in decision making. Ideally, employees will need to input to substantive decisions regarding the work itself, such as how they complete their tasks or whom they work with. But there are many other channels for employee voice and autonomy and they are also very helpful like employee-led committees on social activities. Fairness and Accountability: When there is fairness in personnel practices, it helps employees to manage uncertainty, especially under the circumstances which are beyond the control of the agency leader. Implementing constant standards for promotion and holding employees as well as the managers accountable for the performance can create predictability. It also allows employees to direct their energies towards their work that might otherwise be spent in trying to find out the hidden rules for getting ahead. On the whole, it can be said that though uncertainties and changes regarding job security, federal employee benefits, retirement benefits, social security, etc. can be unsettling for federal employees but the leaders have the power to mitigate the negative impact by actively addressing the core needs of the employees. If agencies provide employees with opportunities to meet the core needs at work it will boost employee engagement even in the ever-changing situations. MICHAEL WOOD – FEGLI provides coverage to federal employees and is employer-sponsored. Interestingly, it is the largest insurance program of its kind in the USA. The program was created in 1954 and covers federal employees, their families and retires. Currently, the Office of Personnel Management administers the program with MetLife Insurance Group underwriting its processes. FEGLI offers four types of coverage options. The first option is Basic coverage, which the federal government subsidizes. In this arrangement, employees foot two-thirds of their premiums and the government pays the rest. Even so, employees foot 100% of premiums in the optionsFEGLI cover. But all FEGLI coverage is a Term Life Insurance that does not earn any interest or cash value. With FEGLI Basic coverage employees receive automatic coverage unless one opts out. Typically, basic coverage has three death benefits that insure employees for a sum equal to their annual basic salary to the nearest $1,000 plus an extra $2,000. Example: let’s assume Jane Doe comes to Michael Wood’s office and she makes $37,400 in a year. Based on the above rule, Jane’s death benefit would be $40,000. Besides that, Basic FEGLI coverage adds additional funds equal to Jane’s annual basic pay. But upon attaining35 years, this figure reduces by 10% until age 45 when it ceases to apply. Below is a table showing how this works every year beginning at 35 years of age. Keep it in mind that the additional coverage figure reduces annually until it no longer applies. If lose of one of the above occurs, Basic coverage pays a $20,000 benefit. This option lets employees purchase extra coverage worth $10,000. Althoughbenefitsremainconstantover time, employees graduate to higher premium brackets every five years. Below is a table detailing how premiums increase every five years upon attainingthe age of 35 years. NB: Coverage premiums increases are charged biweekly not monthly whenever an employee attains the age of 50 years. Term life issuance premiums are higher than those found in the private insurance marketplace. This optionalcoverage plan lets employees acquire coverageworth five times the valueof basic coverage. Similar to Basic coverage, this is term life insurancethat accumulatesno cash valueand earnsno interest. Plus, employees pay 100% of all coverage premiums. Option B coverageremainsconstantthroughout its duration but premiumcosts increase every five years after anemployee attainsthe 35 years. The example below demonstrates option B coveragethat is fivetimesthe value of basic coverage. NB: Option B coverage rates increase rapidly after attaining 50 years. At 50 years of age, employees pay $20.90 per payment period equivalent to $45.28 per month. At age 55, employeespay $38.00 per payment period equivalent to $82.33 per month. At this rate, premiums are bound to become unmanageableby the age of 65 years as well as premiums building no cash value during this time. FEGLI Option C coverage lets employees acquire term life coverage for their families (spouses and any children). Accordingly, it covers spouses for $5,000 and children for $2,500. Besides that, emplo0yees can opt to obtain coverage that is five times the value of the initial lump sum for both spouses and children. However, all selected multiples must be of equal value. OptionC covers unmarriedchildren from birthuntil the age of 21 years. Also, any disabledor handicapped childrenare allowed to remain under this coverage after the age of 22. Just like Options A and B amountof coverageremainsconstant though premiumsbeginto increaseuponattaining35 years. Below is a ratestablefor Option C coverage. NB: Option C rates increase at a fat rate from 60 years onwards. Even so, Option C children coverage may no longer apply at this age. According to this rates chart spread outover30 years, the total costs payable by the employer amount to $314,005. Interestingly, no matter how committed employees are to their life insurance policies not many can afford to pay the above figure. Fortunately, affordable alternatives exist in the private insurance market. Acquiring similar coverage at age 50 in the private sector, one gets to pay cheaper premiums. What’s more, the table below depicts the considerable savings of obtaining private sector insurance. Apparently, private provider chargehigher rates that FEGLI’s group rates. This isbecauseFEGLI typically levies higher premiums on healthapplicants to offset shortfalls in less healthyapplicants. Nonetheless, in the private sector,this is not the case. The private marketplace pays a totalof $67,141 for a death benefit of %594,000 equivalentto asavingsof $246,864. 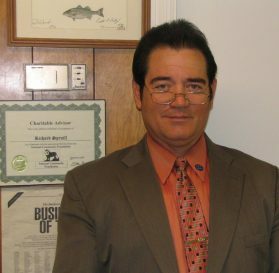 Michael Wood is the principal and owner of Integrity Retirement Planning, LLC with offices located in Cambridge, Maryland. Michael began his career in Insurance and Financial Services with Bankers Life and Casualty in 1999 where he practiced insurance until 2002 at which time he started his own company. Michael Wood has been a licensed professional for almost 20 years, and he has focused exclusively on those consumers who are close to or already retired. 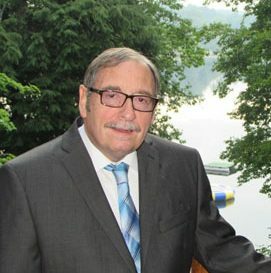 He has a unique skill set and can help consumers carefully plan for federal retirement, long-term care, retirement income, Medicare, and Estate Planning. People who are getting close to retirement, or who have already retired, often find that the integration of the different components of their unique situation can be challenging to understand and plan for without help. More Articles by Michael Wood: Is your Pension Safe? RICK SPRUILL – Use the following three factors to help determine whether FEGLI is a sustainable coverage option for you. The first factor addresses your ability to satisfy underwritersrequirementsforindividualFEGLI protection. Doing so entails meeting criteria established by your lifestyle, social habits, age, and health. A second factor that determines whether you are eligible for FEGLI protection is the duration of protection. Keep it in mind shortly, a large percentage of federal employees in their 50s and 60s will have their FEGLI coverage revoked. Finally, your life protection needs also determine your qualification status. Presently, the Federal Employee GroupLife Insurance provides the most extensive coverage policies in the world. Accordingly, coverage plan offers you plans that require no medical underwriting with competitively priced death benefits. Besides that, death benefits begin immediately upon enrollment. However, the flipside is that FEGLI premiums increase over time for all insurees. These changes are attributed to policy design innovations within this industry over the past couple of years. But What If I Am Terminally Ill with Cancer, Suffer a Stroke or Heart Attack? If this happens to you, expect to pay higher premiums. 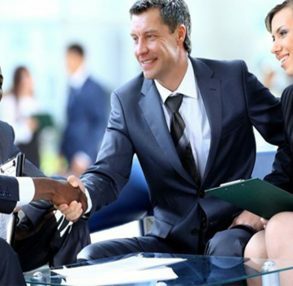 Subsequently, your ability to pay bills will adversely be affected. However, if you are eligible for living benefits, access to accelerated tax-free payments of your death benefits is available. But to do so, you need to make an application based on your needs. On the other hand, the optional FEGLI offers nothing. So if you don’t have access to enough emergency funds or sick leave, you can apply for a hardship withdrawal. Even so, this can potentially wipe out of your reserves. Besides that, taxes will eat a significant chunk of your retirement assets as well as incur a 10% early withdrawal penalty. With medical innovations increasing the average lifespans of most Americans, most federal employees are concerned about living longer than expected. 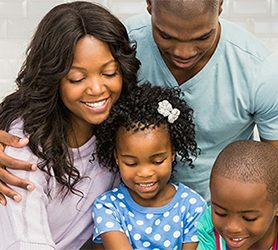 Although that is true, all types of insurance policies are geared towards ensuring that you maintain a comfortablelifestyle for your family. But families need to identify the kindof protection they require on an individual basis. Doing so can help these families prioritize their insurance needs and budgets. Nonetheless, if insurance were free, then it would be possible to protect families against any conceivable harm. For this reason, most of us would opt to have full protection against multiple disasters. If we can potentially foretell the future, individuals would select optimal protection. In retrospect, it is not possible to do that, which means that we often cannot foretell what kind of protection is necessary. Consequently, selecting the best protection mandates that we identify the best coverage options at pocket-friendly prices. Accordingly, this is a risky consideration when shopping for a comprehensive coverage option. For instance, polls of federal employees reveal that not many of them have significant savings to afford a cancer policy. Although one might have cancer coverage and then dies from a heart attack, than any cancer and LTC coverage they have is a waste of resources. Nonetheless, having a policy with multiple covers is the ideal situation. According to Rick Spruill, a perfect policy should cover all possible outcomes minus the additional costs, risks, or complications of acquiring use or lose it coverage. So, who requires FEGLI coverage? Initially, FEGLI coverage is suitable for federal employees under 45 years of age, why is that so? It is because at this age there is no Basic Extra Benefit as well as diminishing 5-year cost increases. This means that you have access to affordable alternatives and increased flexibility of LivingBenefits. Also, FEGLI is ideal for those with preexisting health conditions or risky lifestyles(read sea divers or tobacco smokers) that cannot be converged under a conventional insurance policy. Although FEGLI coverage for all federal employees, its premiums are equal for both chain-smoking fast food aficionados and physically active vegans. What’s more, premiums are expected to rise by 2066% for both groups between the ages of 35 and 65. Here is a calculator to help you compute FEGLI premiums if you are 65 and above. Ask yourself why you need coverage: is it to protect my family’s present lifestyle after my demise or is it to defend its present and future lifestyle? How eligible am I for underwriting? Will waiting before getting FEGLI coverage affect your eligibility for individual coverage? How long do I need to have FEGLI coverage to ensure that my family is fully covered after I am gone? How much retirement savings do I have for offsettingLivingBenefits? Caveat! Do not wait too long before evaluating FEGLI policies as premiums are bound to rise in the future. Thus, you need to collect and evaluate available options to help you make the most suitable decision for your family and you. Once you decide to stay, leave, or drop coverage, you need to consult with a federally-certified financial advisor in making your decision. 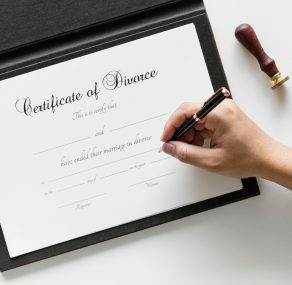 Buddy Nidey | How Does Divorce Affect Your TSP? BUDDY NIDEY- The TSP is an excellent program for retirement savings both for members of the uniformed service and federal employees. Members add to their savings through monthly salary deductions. Usually, your spouse has certain rights to your TSP given by the law; this includes those spouses that you’re legally separated from. These rights are taken so seriously that whoever denies or tries to deny their spouse these rights are prosecuted. I know you’re probably wondering what your spouse gets after divorce. Right? 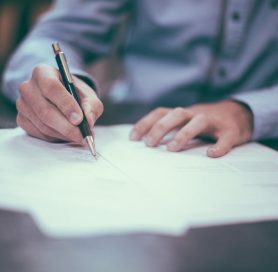 Retirees or federal employees who are in the process of terminating their marriages should understand precisely how their TSP can be affected. The court can issue an order to divide your Thrift Saving Plan account. It must clearly specify the TSP account to which the order applies; especially for those who have two accounts. 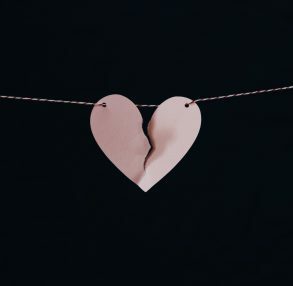 A retirement benefits court order can stem from divorce, legal separation, annulment, or property settlement agreement. It will require that your TSP account is frozen to prevent you from borrowing against it or making withdrawals. The order will be resolved after the divorce has been finalized. It may award a portion of your savings to your current spouse, former spouse, or dependants. You can continue making contributions to your TSP even when your account is frozen. Also, if you had taken a loan against your account, you will still be expected to make monthly payments. The money accumulated in a TSP account when both parties were married is a marital asset that can be divided after divorce. This is because, under family law, the account belongs to both partners regardless of who the actual “contributor’ is. The division of the account is based on the value of the TSP account as determined on the day the account was frozen. The portion is awarded either as a percentage or a given dollar amount.Your spouse does not get a check payment. Instead, TSP will follow the court’s order and send the dictated amount to an eligible retirement plan in your spouse’s name. Considering that your spouse will get almost half of your contributions in the divorce, you can reduce the amount you put into your account. The forms you fill for this are the TSP­1 and TSP­U­1 for federal employees and members of the uniformed service respectively. Most people list their spouses as their beneficiaries. After your divorce, you will most definitely need to change the beneficiary. This is very important because TSP rules are really strict and whoever is named as beneficiary (it doesn’t matter if you’re divorced or not) will get the proceeds. Basically, a retirement savings account acquired between the date of marriage to the date of separation is considered marital property. This is the case even if you are the sole contributor and only your name is on the account. In the case of a divorce, your spouse is entitled to halfsies. During your divorce, it is very important that you get an attorney that thoroughly understands the TSP rules in relation to divorce. There are available handbooks that you can read to get some knowledge as well. As Certified Public Accountant and a graduate of the College of Financial Planning in Denver, Colorado, Buddy Nidey applies his strong analytical background to his work as an investment advisor representative. He enjoys coordinating clients’ investment portfolios with solid financial planning that takes income taxes, diversification and safety into consideration. Buddy Nidey works with families up to and through retirement, mapping out strategies that maximize Social Security and other sources of income to a retiree. 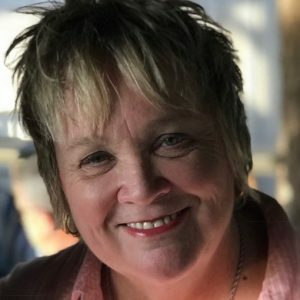 LINDA JENSEN- Paying tax on the federal retirement income is a necessity, but there are many ways to ensure that you pay less tax than you have been probably paying till now. If you want to learn how to pay less tax on your federal retirement income, then you must keep reading on. Here we are explaining how you can pay fewer taxes on your social security and TSP income. It is a fact that most people file their federal retirement income taxes in April. However many people still prefer filing extensions and have until 16th October to file this year. Another fact is that people who have been paying income taxes may get a nasty surprise when they see the bottom line on the federal income tax return as withholding can be considerably different for retirement income as compared to employment income. If you have ended up paying more taxes then you need to read on to know how to save taxes the next year. If you are among those people who are yet to retire, you will be glad that you read this article as you will not be paying a large amount of taxes due in the first year of retirement. When you are working in a federal job, you simply file a W-4, and all the vital taxes are withheld from your paycheck. You just set it and forget it. Things change when you retire. Most people fill out a W-4P with retirement papers, and the taxes are withheld from the monthly payments. This withholding is usually based on the last W-4 filed when a person was still and employee. It is highly likely that the W-4 covers all the taxes that are due from CSRS or FERS annuity. When you consider the social security withholding, things start to get difficult. It is very likely that 85 percent of your social security will be subject to a federal income tax at your rate for the ordinary income. However, some retirees will find that a lesser portion is considered to be taxable. Hence, the higher your income is, the higher would be the percentage of your social security benefit that is eligible for a federal income tax. It is a fact that social security will not withhold anything from the payments for taxes until you request for the same. The main thing here is to avoid a tax surprise by paying the income tax on the social security as you go. You should ask the social security to withhold taxes from your monthly payments when you apply. In case you are applying for social security income online, you should do it by using the remarks section of the form. Alternatively, you can file a form W-4V after applying for social security. Another useful advice to save extra tax on your federal retirement income is that you should make quarterly tax payments. These payments are due on January 15, April 15, June 15 or September 15. If you are a bit forgetful or you tend to accidentally spend the money you have set aside for tax purposes, then you should ask the social security to withhold 25 percent of your payment for paying up the federal retirement income taxes. If you need to know about how your federal retirement income in TSP will be taxed, you should check a booklet that is available on the website of TSP and offers a detailed table that describes the withholding on each kind of withdrawal. As per the TSP statistics, the most common withdrawal is known as substantially equal monthly payments in which withdrawal is withheld as if you were filing jointly, married and claiming three exemptions. It is usually there if the payments are likely to continue for a time span of 10 years. A CPA expert calculated that you need to be withdrawing more than USD 1,700 per month before TSP starts the withholding process. So, you should increase the amount of withholding by completing withholding portion of TSP withdrawal form. In case you have begun the distributions already, and you want to have more money withheld then you should file a W-4P. You should also change the withholding on form TSP-73 during the open season as this form is available on TSP website during open season. Like social security, you can also make quarterly estimated tax payments in TSP. It is a fact that most people do not like to pay taxes and they like it even less when the taxes are levied on federal retirement income but all of us need to pay them. Many people have no idea how taxes are withheld from retirement sources of revenue like social security and TSP. So the best idea could be to make changes now and avoid a penalty in the future. Talk to a financial expert such as Linda Jensen and learn more about your options. 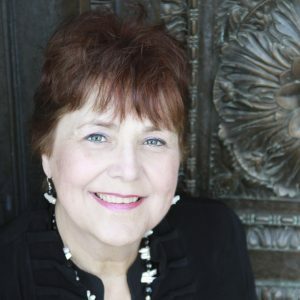 Linda Jensen is the principal and owner of Asset Care & Preservation Services with offices in Olympia, WA. Linda began her career with Prudential Preferred in 1994 where she was an agency leader. She earned the credentials of a financial planner and has been in practice as an investment and insurance professional since that time. Linda Jensen started her own company in 1997. More than 1.5 million individuals are qualified to decide their future military retirement benefit. The new law which has been in effect since 1st of January, 2018 has given them this chance. 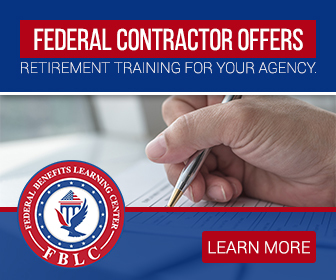 Department of Defense offers obligatory training for those qualified individuals with specific kind of educational programs, ensuring everyone understands whether they are eligible to choose the Blended Retirement System. Similar to the Thrift Savings Plan or TSP introduced by the TSP government, the Department of Defense created this retirement plan for the service members. While a significant reason behind launching this new retirement system is to conserve the money of the government, this new retirement plan provides numerous benefits to the veterans. To get the maximum benefits, military officers need to assemble their reserve funds for retirement. They can either open an independent venture or turn into a temporary administration worker with a confirmation as a veteran-claimed small business. TSP government will enroll FERS members if they were hired after 1984. In case of Blended System, the recently hired service members have enrolled automatically. Also, current service members who have been on the job for about 12 years and also those individuals with a paid status of less than 4320 retirement points. Likewise, any service who were enrolled by the service administration or consented to a service arrangement will have the option for the Blended Retirement System. This service is not provided by the TSP government. Whether you have contributed to your Thrift Savings Plan or not, you will still receive a 1 percent of the base pay in the TSP account. The Department of Defense co-ordinates your TSP commitments by increasing at 5 percent of your base pay. You will receive a continuation pay which is not provided by the TSP government. It is a one-time payment if you are in the service for 12 years, and in return for your duty to serve an extra four years in service. In March 2018, the current individuals of the service received 2.5 times their month to month essential pay as of the day they started the service of their twelfth year of service. The Reserve and the Guard service member will receive half of their current salary. Those who will be retiring soon can obtain either half or quarter of their future retirement pay by means of lump sum amount at their retirement. Retirement paychecks would come back to their full sum after they reach the age 67. Just like the Monthly Annuity calculator provided by the TSP government, the Department of Defense provides the BRS calculator where one can assess the retirement benefits. Before the service members make a final decision, they take an obligatory training session which is available in the learning management system of the service. Joint Knowledge Online and also via Military OneSource. The air service members, sailors, and soldiers can choose the Blended Retirement System through MyPay. Along with that, the Marines can choose the retirement system via Marine Online. When it comes to Retirement plans, this is one of the best financial systems for the retired service members with unbelievable benefits for their future endeavors. The Department of Defense has created a personal savings system for the service members. DARYL SHANKLAND – Recently, President Trump signed three executive orders designed to change the dynamics of federal employment significantly. These orders aim to reduce the firing time and process of any federal employee, removing “underperforming” workers far more efficiently. Along with that, these orders also reduce much of the influence unions have had on policies, ensuring that they can’t protect workers’ right as much anymore. Primarily these were all done to cut down on the lengthy legislative process and cost of firing an inefficient employee, but these will also make employees more in danger of being let go. One of the things that changes the paradigm hugely is the 30-day timeline of the Employee Performance Improvement Plan (PIP). Although this comes as a saving grace for supervisors as they can hold these workers more accountable, for employees, this means their chances of getting fired are significantly higher now. It is also far harder for any fired employee to move to another agency. 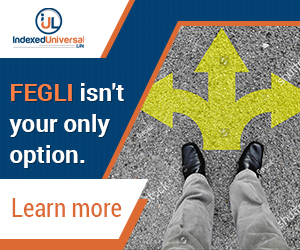 While any federal employee knowingly or unknowingly automatically enrolls for FEGLI, primary insurance is dependent upon the annual pay of any employee. Now that employees are more likely to be fired than suspended their whole life insurance plans can blow up. You, as a federal employee, need to make sure that you choose the most convenient option for yourself to cover for a better future. At the same time, you need to get serious about your retirement options as well, since you are more likely to be sent into early retirement. The executive orders limit the power of unions as a bargaining tool for the rights of employees. Employees of the collective bargaining unit generally have two ways to appeal a significant disciplinary action. They can go through the administrative process or follow the union grievance process. Typically, a grievance can be filed with their union by any bargaining unit employee. From there on, the employees usually receive an arbitration hearing resulting in the issuance of a decision by the arbitrator. But now with the executive orders in place, employees in a collective bargaining unit won’t be able to take any termination cases to an arbitrator for any decisions reducing the power of employees of a bargaining unit significantly. Moving forward with these orders also suggests prioritization of employees by the length of their service time, meaning the newer ones are more likely to be let go during a Reduction in Forces (RIF). This can have a profound impact on your FERS Annuity, because as your likelihood of getting fired rises at the early stages of your career, you need to be able to choose the right option to ensure the betterment of yourself and your family. A lot of federal employees have been scratching their heads over retirement plans after president Trump signed these three orders. We suggest talk to your family members, friends, and financial advisor such as Daryl Shankland and find out which would be the best plan for you. Now employees will be able to spend much less time for union works as it is deemed as “tax-payer funded union time,” also aiming to charge unions for rents, space, and federal buildings. A group of administration of labor relations will develop “government-wide approaches to bargaining issues.” Agency officials have already been instructed to work on renegotiation recommendations of contracts that are “not subject to disclosure” to any of these existing union representatives. All these mean that participation of employees within these unions is likely to decrease more also the unions’ ability to bargain for things like health, safety benefits of workers will be limited as all of those will be renegotiated. While there are retirement programs like FEHB which ensures the health of the employee and their families, the best sort of bargains can’t be obtained without the help of a collective bargaining unit and there are chances of lesser funding from the government on these. Executive orders issued by President Trump enhances the probability of an employee getting fired while lessening the bargaining rights of the worker to a large extent. All the more reasons you need to make sure your insurance is in place to help you out and have a retirement plan ready to act on! Daryl Shankland has been guiding clients in their investment decisions since 1980, encompassing both good times and bad. Her broadcasting background has helped her communicate complex, quickly changing information to clients in a manner that they can understand. Contact Daryl Shankland to find out more about your retirement options. MICHAEL WOOD – The TSP can be one of the best ways for you to save money and get the maximum out of your retirement plans because it allows you to get the highest possible returns by investing as early as possible. Last November’s TSP Modernization Act of 2017 gives more flexibility to federal employees regarding investing and withdrawing money from their savings. Before the Modernization Act, employees could only withdraw money in two lump sums, once at 59 1/2 and secondly at the end of their service, when they would have to take the whole amount at once. After the Modernization Act, the rules changed so that an employee can make a post-separation withdrawal as early as at 30 days interval. In case of service age based withdrawals, that can be made up to 4 times a year. The law also provides participants with much greater flexibility when it comes to changing the frequency and amount of monthly installment payments. Before the Act, a federal employee could only receive payments on a monthly basis from their account. An open season between October and December was the only time to make any possible changes to the number of payments. Now, a participant can choose to receive payments on a monthly, quarterly or annual basis. They can now change the amount and frequency of the payments whenever they want with having the power to stop or restart installment payments. These changes in laws ensure better flexibility and control over your TSP, providing you can get the absolute most out of your plans. Also, these flexibilities offer that you get to use the savings whenever you need and also save based on how much you can spare. With these conveniences in place, designing your TSP and making sure you choose the right plans for yourself makes absolute sense. With other reports suggesting that there is a chance, federal employees’ retirement plans can be cut to as much as $143.5 billion, which will directly affect current and future retirees. Along with that, there is a proposed pay freeze that can potentially happen next year after the hiring freeze for a while. Trump Administration is looking to make a complete overhaul in the public service sector, but all the details have not been outlined thoroughly. There are discussions on how to make the process of hiring younger workers far more accessible than what it is currently. These proposed cuts can end up taking a significant toll on your retirement savings as there will be much fewer government subsidies on each sector of retirement plans. This means even for the same investments you’re likely to get a considerably lower return can end up hurting your long-term plans. The proposed pay freeze can harm your expected incomes over the year, and if you are hoping for some increment and thus planning to pay your installments, your plans might get disrupted with the pay freeze in action. While planning your TSP, it’s better to make sure how much you can put away in installments along with how frequently you can do it. Also, you need to work out exactly how much saving you’d want at the end of your service and plan accordingly. TSP provides you with the best opportunity to secure the best possible future for you and your family. With these laws in place, you will get to reap the benefits even more. 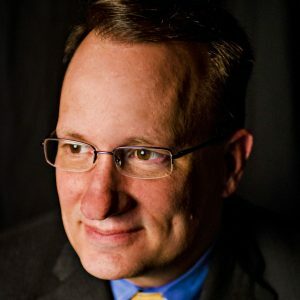 Michael Wood is the principal and owner of Integrity Retirement Planning, LLC with offices located in Cambridge, Maryland. Michael began his career in Insurance and Financial Services with Bankers Life and Casualty in 1999 where he practiced insurance until 2002 at which time he started his own company. If you have questions, contact Michael Wood with questions about how you could save on your TSP. LINDA JENSEN – The Thrift Savings Plan, or TSP, is a retirement fund plan for the Federal employees. Individuals from uniformed services such as the Ready Reserve can also avail this plan. The Thrift savings plan was created in the year of 1986 by the Congress in the Federal Employees’ Retirement System Act. The savings plan offers similar kinds of reserve funds and tax reductions that numerous private enterprises provide their workers under the 401(k) plans. The retirement wages received from TSP account will rely upon the total income you put into your account throughout working years and the income amassed over that time. This plan has become the No.1 financial plan in the United States of America. More than 60 percent of the working men and women earn about $70,000 or more from the TSP plan. Individual retirement accounts, and another kind of savings to be their primary source of income when they retire. Let’s have a look at some brilliant tips that will help you to make the most of the TSP plan and how to withdraw from your TSP- though remember, help from a financial professional like Linda Jensen’s company Asset Care & Preservation Services. Based on your job and your assets, you need to periodically put a part of your income in the TSP account. The TSP government corresponds to the contributions made by the employee to an absolute limit. Numerous representatives pick TSP as an essential way they lay aside the cash every month for retirement. Unlike the TSP government, it is rare for the corporate businesses to provide retirement plans. In this way, you should enjoy the prevalence provided by the TSP government. After choosing TSP as your primary financial plan after retirement, it’s imperative that you contribute as much as possible. The aggregate sum you can contribute within 12 months is constrained by the Internal Revenue Service. Regulation of the TSP government dictates that the total amount is expanded marginally over the sum set for the earlier year. There are additionally age-based arrangements which you can benefit from. You can also discuss with the Office of Personnel Management about the total limit you can go. While the TSP account holders can withdraw cash from the account under specific situations, it is wise not to do so in for the betterment of the future after your retirement. You can take it out as a loan, yet the TSP government requests the account holders to debilitate every other option before taking out from their TSP account. Taking money from your TSP account is taking a considerable loss for your future since you give up on the accrual or interest. You can choose the Roth option which was created on May 7, 2012, and permits the account holders of Thrift Savings Plan to contribute cash to their records after the taxes have been paid. Conventional commitments are made before charges. People may contribute under both the Roth and other traditional choices. Before you choose the Roth option, it is imperative to understand the basics of the Roth plan. If you think that the rate of taxes will increase after your retirement, then the Roth plan is perfect for you. It is wise to ask a financial professional such as Linda Jensen before you make a final decision. Typically, bankruptcy is a considerable risk for retirees though recent saving trends portend a rosy picture. 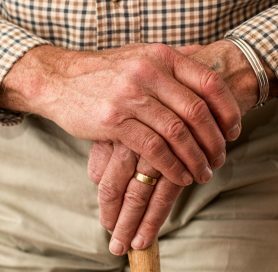 Data indicates that the number of retirees with less than $10,000 is declining. It fell from 55% to 42%according to a GoBankingRates survey. Besides, the survey indicated that half of retiring Americans have $10,000 in savings. Nowadays, it is estimated that one needs approximately$275,000 for healthcare expenses upon retiring. Having only $10,000 in savings doesn’t inspire confidence and security, though it’s a start. GoBankingRates methodology queried adult financial product consumers in the US to find out what the average American’s saves for retirement. Study participants were categorized into three group’s baby boomers, millennials, and Gen X with each category having 1,000 respondents. During the study, participants were instructed to provide tentative estimates of their retirement savings. 23% of adults aged 55 and above had savings totaling $300,000 through a significant proportion had less. Approximately a third of the respondents have less than $10,000 saved necessitating changes in behaviors to prioritize retirement savings. Those getting ready to retire can contribute a maximum of $18,500 to a 401(k), 403(b), a 457 plans, and Thrift SavingsPlan during 2018. On the other hand, individuals aged 50 and over can add $6,000 as catch up contributions each year to a 401(k) plan. Traditional IRAs and Roth plans are $5,500 per year as well as catchup contribution of $1,000 for individualsaged50 years and above. But why are most people not saving for retirement? Most don’t earn enough, struggle to pay bills, or use their money for emergencies and others think they don’t need retirement savings. Question: Why is it that you don’t have retirement savings? Today, the financial health of retirees is an issue of greater concern for the well-being of the nations. The decline in company pensions places the responsibility of creating a retirement plan squarely on the individual’s shoulders. Plus, social security is no longer a sure bet. It was created to help Americans who lack a means of financial support. With many people today signed ontoo the program, it is projected that Social Security will collapse by the early2030s. In the event of an emergency, 40% of Americans will need to sell something off or take out a loan to raise $400. A 2017 survey of 12,000 people by the Federal Reserve indicates that retirement is far from rosy for most Americans. Why is that so? It is because 40% of working adults believe they’ll have enough when retired with 25% having no pension or retirement savings. Plus, one out of four adults can’t access medical treatment due to a lack of funding. Evidently, this situation is a cause for concern as the importance of having sufficient funds to depend on when things go wrong can’t be overstated. Nonetheless, the situation isn’t hopeless. Approximately ¾ of retired Americans indicate satisfaction with the life they’re living. This figure is 10 points higher than the 2013 figure of 50% adults without $400 in emergency savings. But putting more funds into a savings account on payday can help turn this trend around. An aside: individuals hooked on opioids have a less favorable assessment of the economy among other factors. How Much Does the AverageAmerican Have in a Checking Account? Despite the above being true nonetheless, those in debt may have some funds stashed away somewhere. According to a 2014 Moebs Services report, on average Americans have a total of $4,436 stashed in banks. This figure represents saving account averages though it is a significant increase over 2012 figures. What’s more surprising is that this figure is higher than in 2007 before the Great Recession. In 2007, Americans on average had $788 in checking accounts. What is responsible for this transformation? Today, individuals prefer having cash in hand to meet immediate expenses rather in investments or savings accounts. In turn, this doesn’t make people anymore richer than they are even though the economy is doing much better. How Much Does the Average American have in a Savings Account? Although average Americans have cash in checking accounts, the picture isn’t so when it comes to other investments or savings. Much hullabaloo has been going on about America’s retirement crisis as lots of Americans are heading into retirement without savings or investments. To top that, many more don’t make enough to cover living expenses making it hard for this group to even save. In 2015, a GOBankingRates survey highlighted the seriousness of the situation. Data from the survey indicates that 62% of Americans have less than $1,000 in savings. And 21% lack a savings account. Many other studies the same sentiments. For instance, a report by the FederalReserve found out that 31% of 4,000 respondents have no credible pension or savings. This figure includes19% of people between the ages of 55 to 64 with 25% having no clue as to how they will foot their retirement expenses. Perhaps, you are reading this and wondering where you belong. You should be aware that various factors can impact how much liquidity you accumulate. So, avoid comparing yourself to your family, friends, colleagues, or neighbors. But now is the time to evaluate your own personal ground. To begin with, you need to develop a personal financial budget. Doing so entails that you consider your income while carefully analyzing your monthly expenses. In case your expenses outstrip your revenue, you need to make adjustments in your lifestyle to save more. Typically, this is easier to say than do. But if you can minimize your expenses, you will have flexibility. Keep it in mind that your goal is to start saving. Many strategies are available to help you achieve this goal. One most important requirement is building an emergency stash. Basically, this is a savings account that holds the liquidity you need to cover expenses for several months. Before you realize you will have substantial savings giving much-needed peace of mind. Anybody who wants to live comfortably during retirement – that doesn’t involve working part-time – should not rely on just Social Security income. This advice comes directly from the Social Security Administration. According to the SSA, only a minute amount of pre-retirement earnings will be replaced, and most people need about 70 percent of their pre-retirement income to be able to live well in retirement. This income includes investments, savings and Social Security benefits. Therefore, a stable retirement plan must be supplemented income that isn’t just Social Security. What Are Some Additional Sources of Income You Should Consider? Federal employees are rather lucky because their benefits include an array of retirement income sources. Social Security is considered a part of the income sources but only a minute amount. What are some other income sources federal employees need to consider? The FERS offers benefits from three source – Thrift Savings Plan, general benefit plan and Social Security. Two parts of the FERS include the TSP and Social Security moves with you if you decide to transfer to another federal job before you retire. With FERS, you must pay your fair share every pay period. The agency takes out a general benefit and Social Security from your paycheck, noting it as payroll deductions. The agency pays its dues as well. After retirement, you get annuity payments every month. How much you receive is dependent on how long you worked with the Federal Government, the age you decide to retire and the amount you earn. The TSP is considered a distinct contribution plan, which means the income you receive in retirement from the TSP account depends on the amount you and the agency put into it while you worked and the amount you accumulated during that time. The TSP of FERS is something the agency sets up right away. With each pay period, the agency puts one percent of basic pay into the account. While you can contribute to the TSP account yourself, the agency will deposit a matching contribution. 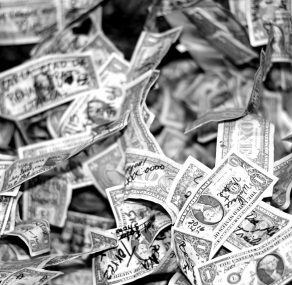 The TSP is a somewhat significant retirement income source. Therefore, making regular contributions to it during your career while completely taking advantage of the matching part from the government could lead to considerable wealth. Of course, that means making sure the money is invested well in the first place. A good number of federal employees earn more than $1 million from their TSP accounts – just by investing and saving wisely even when the market doesn’t do well. It’s not that hard to become a millionaire when you invest wisely in the TSP. Federal employees can also contribute to an IRA away from the TSP, which lets them invest even more of their money and increase it in a tax-deferred or tax-free account. When it comes to Social Security under the CSRS, it’s treated in another way for federal workers. How Viable Is Social Security? Government reports suggest that the Social Security program is rather unstable, making it an unstable option for retirement. With that in mind, people must do their due diligence and save money on their own for retirement. According to the 2017 Social Security Trustees report, the program’s reserves are slated to be drained in 2034. A poll shows that 80 percent of millennials are concerned they will not have any Social Security when they are ready to retire because of the financial instability facing the program today. Will the Social Security income still be viable? And, if so, for how long will it stay that way? The SSA is trying to get people to understand that the payments they receive is not meant to replace the retirement income but supplement it. People are urged to invest and save as much as they can to enjoy their golden years. 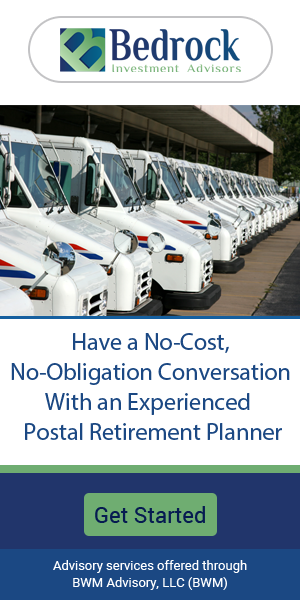 Planning for your retirement is a daunting task for most of us, even for federal employees. Various interrelated factors may complicate this process. Nowadays, conventional retirement plans either have disappeared, or existing ones (like FERS) are becoming less adequate. On top of that, Social Security seems like it won’t last forever. Increase in the lifespans of individuals results in retirees outliving their savings or retirement plans. Luckily, with good preparation, you can enjoy a successful retirement. With assistance from retirement planners, you can create an effective retirement plan no matter your age group. To do so, you need to understand your current financial situation to prepare for a future in retirement. In the Twenties: Typically, we attain financial independence in our twenties. At this stage in our lives, we seldom think of planning for retirement. But nurturing the right skills is essential now and in the future. This is why it is important that you evaluate all available options regarding your retirement. Accordingly, taking life insurance is not necessary as you have no dependents. Doing so will minimize your ability to build a savings scheme. On the other hand, avoid depending on employer saving plans as they have little chance of maximizing your savings. Often, most employers have retirement plans that exceed conventional incentive programs. Those lacking a retirement plan with their employer should open up an Individual Retirement Plan (IRA) to accumulate retirement savings. Finally, consider obtaining a credit card, a car loan, or paying off your debts on a monthly basis. Though you might hesitate to accumulate debt, lacking access to credit complicates your ability to handle and manage complex financial engagements. In the Thirties: this age group enjoys increased earning power with increasing advancements in their career. As a result, you should increase your retirement contributions to benefit from compounded interest rates. Also, you should open up an IRA account to leverage new employment opportunities as well as to consolidate any of your accumulated savings from previous jobs. Employed heads of families need to make savings in preparation for their children’s college education. Putting your kids through college is a demanding undertaking that requires an effective savings plan. You can create one through the assistance of an experienced financial advisor. Besides that, it is a drain on your capacity to make adequate retirement contributions. As your stash of savings increases, consider creating a will and an estate plan for your dependents. Those who are self-employed should create a succession plan to ensure the continuity of their business after retiring. In the Forties: with your children making decisions about their futures, you will need to create a plan for covering their educational expenses. Find out more about scholarships and grants to reduce financial strain. Given that, you should identify options that require no repayment. 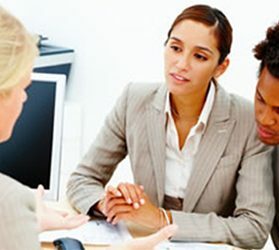 Consulting with your financial advisor is a good way of ensuring that you achieve this objective. Financial advisors can help you formulate a retirement plan that keeps all your goals in sight. In this regard, you should ponder what kind of retirement you want in the future. In the Fifties: this is the right time to think about your retirement plan deeply. Evaluate all your options regarding how you want to exit the workplace. Based on your predetermined timeline, consider stepping up your investment contributions or take advantage of provisions that let you exceed typical contribution premiums. In the Sixties: during this period you can access your retirement savings without incurring penalties. Therefore, continue increasing your contributions as well as exploring distribution options in view of your current revenue flows, taxes, and your ability to sustain a retirement plan. Also, you should ponder the implications of any health care needs you might have in the long term. As a result, you should aim at purchasing insurance that will offset any potential health complications in the future. Assess your income sources to determine the appropriate time to sign up for Social security. Keep it in mind that Social Security benefits decrease based on when you join. Plus, you ought to involve your children and spouse in your wealth transfer plan. Provide insights and advice regarding how to protect your hard-earned wealth or property. In the seventies and beyond: by this time, you are in retirement. Nonetheless, you need a plan for taking out Required Minimum Distributions (RMDs) from your investment. For this, you need to work closely with your financial advisor in matching your lifestyle to your assets. Doing so will let you relax and enjoy life while remaining focused on the most important undertakings as well as creating a fitting legacy. Your road to retirement is long and uncertain. For this reason, you need to identify a trustworthy and dependable financial advisor to help you along the way. On top of that, it pays to include your family in any decisions you make as you craft a retirement plan. Military personnel and federal employees can put hundreds of dollars more toward their retirement thanks to the rise in contribution Thrift Savings Plan limits. The most that can be contributed to a TSP account is $18,500, which is a rise in $500 from 2017. People 50 and older may be eligible to contribute another $6,000 in catch-up contributions, which brings the amount to $24,500. Active military members deployed in combat zones are eligible for tax-free income that adds even more to their TSP in 2018 – up to $55,000. The TSP’s pretax contributions are similar to a 401(k) retirement savings plan in that it reduces your taxable income. Earnings and contributions are also tax-sheltered until withdrawn, which are then taxed as typical income. If you withdrawal the money before you turn 59 1/2, you will be subjected to 10 percent withdrawal penalty as well as taxes. After-tax Roth contributions is another TSP option, which doesn’t provide any tax breaks but the money is tax-free when you withdraw it at retirement. For earnings to be tax-free in the contribution, the contributions to the Roth must have been made for a minimum of five years, and you need to be 59 1/2. The government retirement plan size ensures that extremely low fees are charged. In 2017, there was a 0.033 percent cost in managing the TSP. In simple terms – that’s 33 cents for every $1,000 invested. Compare this to the 401(k) plans, which has a $4.30 charge for every $1,000 that was invested. The L Funds (or lifecycle funds) are comparable to the target date funds of traditional 401(k) accounts. Investments are made in the other funds but become conservative as people get closer to retirement. If you can handle positive and negative issues and retirement is some time away, you could put more money into your C Fund – such as the Standard & Poor’s 500 stock index. If you want a create and forget it method, go with the lifecycle fund with a name that is close to the year you plan on retiring. It’s important for civilian federal employees to take advantage of the TSP match. There is already a one percent contribution from the government. Three percent of the pay contributed is matched by the government dollar-for-dollar. Another two percent of their salary is matched50 cents on the dollar. 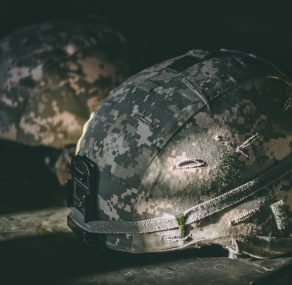 Service members who signed up for the military between 2006 and 2017 have an important pension decision they need to make before year’s end. They can choose to stay with their old retirement system, which gives them a pension that’s worth half the base pay if they’re in the service for 20 years. They can choose the smaller pension or 40 percent the base pay if they stay 20 years and get a government match of at least five percent in TSP accounts. People who join the military this year are registered automatically in the blended retirement system. This system is advantageous so to people who have no plans in staying in the military for 20 years. If you don’t know if you should make the switch, the USAA has a useful comparison tool. Visit USAA.com and input military retirement system. Or, go to the Department of Defense Military Compensation website. The TSP is a good way to be financially sound right off the bat. It doesn’t cost much to set up and easy to do. Military members are urged to contribution 10 percent of the pay into TSP accounts. However, if they can’t do this, they can make small contributions, steadily increasing them as they get a pay raise. The TSP is an enhancement of any government pension you can get along with Social Security. The more money saved now, the more money a person will have in retirement. A TSP savings calculator will help you to know how much money you need to save to be comfortable during retirement. The fiscal budget proposal for 2019 put out by the White House on February 10th had some unpleasant tidings for employees of the federal government. The Trump Administration’s suggestion of a pay freeze was one of the most worrisome. For those unfamiliar with the term, a pay freeze puts a stop to salary or wage increases for a specified period. The goal of a company, or in this case a government, implementing a freeze is to reduce costs and therefore increase profits or reduce a deficit and potentially pay off debt. Considering the United States’ typically has a massive budget deficit and is carrying massive long-term national debt it begs the question of how long the freeze will last. The problem for employees during a pay freeze is that while their pay remains stagnant, inflation does not. Combine that with the instability created by the indefinite time frame, and you have a recipe for a real headache. The White House’s budget is of course just a proposal. The founding fathers gave Congress the “power of the purse,” meaning Congress has the final say over most budget decisions. It has been a few months since the proposal was released and concerned employees may have relaxed a little in that time. Now members of Trump’s staff are back in the news making statements in support of the pay freeze. Ironically, the reason for the budget proposal being back in the news—a May 7th open letter from Office of Personnel Management director Jeff Pon to House Speaker Paul Ryan (R-Wis.)—comes during “Public Service Recognition Week.” Since 1985 this week has been designed to honor employees who devote their careers and lives to public service. Pon is not the only voice publicly backing the freeze recently. The director of the Office of Management and Budget, Mick Mulvaney, also wants to put a stop to minimum incremental pay increases that currently happen automatically throughout a federal employee’s career. The idea is to bring the public workforce closer to the private sector regarding the style of their compensation. “The proposal is rooted in data we had from analysis of the way we paid federal workers, and it seemed to indicate that we over-pay at the lower levels and underpay at the upper levels,” Mulvaney said in testimony before one of the House Appropriations subcommittees. The idea is that the incremental increases make it difficult to reward good employees and motivate poor performers under the current “General Schedule” pay scale, a policy enacted by the Classification Act of 1949. A significant problem for federal employees with the proposed pay freeze is that while Trump mentioned a one billion dollar fund for 2018 to be used across all federal agencies to reward strong employees, no money was provided in the omnibus spending package enacted this past March. This is the crux of the argument. Pon, Mulvaney, and the Republican government that generally supports them see the problem as being a lack of incentives for people to do a good job and improve performance in areas of need. The Democratic opposition considers the lack of guaranteed compensation as dissuading potential talent who can find more lucrative opportunities in the private sector. Another issue for current employees is that the uncertainty makes it difficult for them to plan for their futures and could have adverse effects on plans already made without anticipation of a pay freeze. MICHAEL WOOD —The Thrift Savings Plans is a great investment option for people with stocks and bonds. However, if they have another investment account such as an IRA, holding onto some assets besides these can expand one’s wealth and offer them more security and safety in any market condition. According to Fidelity Investments research, in eight out of 10 U.S. business cycles, it’s commodities that outdo the S&P 500 in the late stage. Why is that? It’s because, in this business cycle stage, the economy is overheating and inflation begins, which can benefit all kinds of commodity producers. Still, each business cycle is not the same and commodities don’t always perform as one would expect. A look at commodity prices shows that inflation and commodities are closely tied together. Investors who feel higher inflation is likely, then investing in commodities makes good sense and can give them a hedge against the high inflation. If an investor anticipates low inflation, then commodities may not be in their best interest to invest in. Looking at the 10-year average, worldwide commodity prices are low. Oddly enough, in high valued stocks, bonds, and real estate markets, commodity guides are roughly one standard deviance under the average, which is important. For the past several years, energy prices have been remarkably low thanks to rising American oil and gas production and processing. This has affected the worldwide supply/demand balance. Food prices were low because of various factors such as a drop in growth rate for biofuel usage and a decline in population growth rates for huge population centers such as China and the drop in energy prices and other areas. Weather has also had a role in the food supply – be it overabundance or shortage. What will happen with commodity prices in the future? That’s up in the air, but a partial return would mean a good return for commodity producers. One big argument about long-term high energy prices is that lower solar per-watt prices, higher solar energy capacity and more people using electric vehicles will lower energy prices. In fact, a surge in energy prices could take place before there is a long-term drop in energy demand. Another argument about long-term food prices is that slow worldwide population growth and less attention on biofuels doesn’t support high food prices. However, global warming and droughts could push food and fertilizer prices higher. Another agreement can be made with long-term industrial metal prices, especially those considered rare earth metals. The argument is that a change in mindset from gas-powered vehicles to electric vehicles will cause a rise in demand for earth metals. How so? Electric vehicles, because of their large batteries and other technology, use more earth metals than gas-powered vehicles. When there is a world filled with electric vehicles, the demand for earth metals is bound to be higher. Those that hold the neutral diversification position will spread their bets out and have a minute amount of commodities in their portfolio. The simplest way is to have a position in a general commodity producer ETF – think something along the lines of SPDR S&P Global Natural Resources ETF (exchange-traded fund). However, if you want to focus on something more specific, you can put attention on focused ETFs like iShares MSCI Global Metals and Mining Products ETF. If you want even more in-depth details, you can buy individual stocks. If you prefer a more hands-off investment option, you don’t have to diversify yourself this much. An investment in real estate, bond indices or broad stock indices is enough for most people. Some TSP equity funds have some energy and materials exposure, but there’s not a lot of that. If you want a more hands-on investment option, want to take advantage of the various business cycle parts, want greater inflation protection or would prefer general diversification in asset classes, holding onto other assets could beneficial. A great way to complement your TSP fund is to invest in commodity producers, precious metals, real estate and emerging markets. Why? The TSP has very little exposure to these stocks. For more information, talk to a financial professional like Michael Wood at Integrity Retirement Planning. In November 2017, the Federal Retirement Thrift Investment Board option to expand its I Fund, which included the following: small-capitalization businesses, emerging markets, and Canada. You can read the full plan by checking out their November meeting minutes. In a nutshell, the board decided that in 2019 the index the I Fund follows will change. The hope is that this will lead to better risk-adjusted returns for the future. In June 2017, Aon Hewitt, a consulting firm, had spoken with the board, recommending they make the change. The Board agreed to look at what the implications would be in doing this and would address the matter sometime in the fall. How Is The I Fund Going To Change? Should the TSP follow through with this planned change, the I Fund will no longer watch the following indexes – Far East Index, Australasia and the Morgan Stanley Capital International Europe. Instead, the index it will follow is the Morgan Stanley Capital International All Country World Ex-US Investable Market Index. What will this change allegedly do? Simply put, it would increase the I Fund’s scope. The I Funds’ All Country index is the one the fund will end up following, which only has between 12 percent and 17 percent invested in both the U.K. and Japan. The other countries make up 60 percent of the fund. By making this change, it would mean exposure would be given to South America and Asia and would nearly double the number of countries it will invest in. Currently, the Far East/Europe index takes into consideration just mid-to-large-sized businesses, which makes up 85 percent of the respective market capitalizations. The All-Country index comprises any sized company (or 99 percent of the market capitalization). Everything within the TSP funds, except the G Fund, is managed by BlackRock Inc. The company, along with its iShares ETFs charge about the same expense ratios for Far East/Europe and All Country ETFs, which means there shouldn’t be that big of a change happening to the I Fund expense ratio. What Will The Value Of Emerging Markets Be? Obvious changes occurring in the I Fund are the additions of small companies and Canada. However, the most notable difference is the inclusion of emerging markets such as Brazil, China, India, South Korea, Thailand, etc. Up to 25 percent of the All Country index is made up of emerging markets; they are not even considered in the Far East/Europe index. While the “I fund” was regarded as the best TSP fund in 2017, with 25 percent yearly returns, it narrowly missed a 37 percent returns from the emerging markets in that same period. While the performance change is significant for each index every year, there are some indicators that the faster-growing markets will do well over the next ten years. Investors with no exposure are likely to be disappointed if they don’t invest in them. The International Monetary Fund expects developed economies will see a two percent or less gross domestic product increase in the next five years. Japan, which is the most significant player of the Far East/Europe index, is anticipated to grow less than one percent a year because of two reasons – aging population and declining population. Emerging markets, however, are likely to develop five percent GDP every year. PricewaterhouseCoopers believes the same thing is to occur. A look at their 2050 outlook notes that the top seven emerging markets were half the size of the top seven markets in 1995 and are currently the same size in 2015. They are thought to be two times the size in 2040. The reasons for this significant change include rising GDP per capita, larger population sizes, and quick population growth. Along with all this, the Far East and Europe index have had a seven percent exposure in the technology industry, but the MSCIs Emerging Markets index has seen a whopping 27 percent exposure. Thus, the joint All Country index has had a 12 percent exposure to the technology sector. Adding these economies to the “I fund” would ensure similar effects – the exposure of the technology industry would double. With exposure like this, one would assume emerging markets would be valuable. In 2007, that happened. According to many metrics like the market-capitalization to GDP- ratios and price-to-earnings ratio, this market would be far more valuable than European or U.S. stocks. While the yearly returns for the emerging markets haven’t done so well, their corporate earnings and economies have grown. Still, it appears investors see flat returns. As it stands, emerging markets are still rather valuable even with higher growth expectations for the long-term. Of course, they don’t follow the same indices as other markets, and they trade at lower values than the markets in the U.S., gauging by price-to-book and price-to-earnings. Developed international markets have similar low values but have extremely low growth in earnings. The MSCI indices have comparable numbers, with emerging markets seeing low assessments and quicker anticipated growth than international and U.S. stock markets. While investors should have international exposure, the kind of index they follow plays a massive role in how well or poor their investment is. Most of them don’t understand how intense the international funds are. Look at the current set up of the I fund shows that it’s reasonably valued for the short-term, but, looking at the long-term view, it’s liable to miss out on worldwide growth. The heavy concentration of the I fund is focused in Europe and Japan, and adding the emerging markets, Canada, and small companies changes it very little but could have a tremendous impact in the long range. With the FRTIB’s choice to use the All Country Market Index, the I Fund is going to see more exposure to geographic diversification and worldwide growth. Thus, TSP investors may end up with a much brighter future. Recently, President Donald Trump announced that there would be drastic cuts in federal retirement benefits that would affect current and future employees attempting to retire. Among other changes, the retirement system would take a $143.5 billion cut in funding. In the U.S. Postal Service, this is slowly turning into a death knell for an already struggling enterprise. In rural regions of the United States, there are such chronic understaffing issues that up to half of the positions in a post office in rural New York were vacant. This is not a unique problem, either; rural mail carriers across the nation are feeling the weight of intense cutbacks from the U.S. government. The number of career USPS employees decreased from around 750,000 to around 500,000 over the past 20 years. Hiring has been a challenge, too; due to a law that requires the post office to pre-fund all retirement funds, being able to afford to hire a new employee can be a challenge. The low rate of pay (in 2010, the starting rate for part-time rural carriers was slashed from approximately $21/hour to just $15) as well as long hours —some employees report working 12-hour shifts, as well as being called in to fill in for other area post offices, even on days off. This challenge escalates exponentially when it comes to rural post offices; the ‘retail apocalypse’ caused by megacorporations like Amazon.com has led to local malls and retail stores going out of business, meaning that online purchases increase dramatically. For rural employees, most of whom use their own vehicles to drive their routes, this has meant that they must overfill their vehicles with packages and carry them up long driveways, avoid angry animals, and travel through sometimes brutal weather conditions. On top of this, rural mail carriers are paid based on an ‘evaluated pay’ system- meaning that they are paid based on an estimate of how long their route should take, rather than how long it may actually take. When this is combined with the fact that the formula does not take into account the weight or size of the package, meaning that a sofa and a video game console would be calculated to take the same amount of time, it results in grossly underestimated pay for a strenuous, challenging job. A large number of government employees are up in arms about the Republican’s 2019 budget proposal. The GOP has termed the legislative proposal, A Framework for Unified Conservatism. After watching a House of Representatives led by Speaker Paul Ryan (R-WI), a U.S. Senate led by majority leader Mitch McConnell (R-KY), and Donald Trump’s White House push through a 1.5 trillion dollar tax cut, with well over half going to a reduction from 35% to 21% in the corporate tax rate, federal employees are watching their retirement benefits and health benefits come up on the chopping block. Their reaction was not surprising. The Office of Personnel Management (OPM) director Jeff Pon submitted an open letter to Speaker Ryan that proposed legislation that would align with the budget proposed by the White House for 2018. He argues the merit for the cuts is based on keeping with the retirement trends in the private sector. The proposal had four main facets: elimination of government supplementation of Federal Employees’ Retirement System (FERS) annuities “for new retirees and survivor annuitants,” lowering the pension calculation by including the five highest years instead of three highest years, an increase in the employee’s responsibility to fund their retirement benefit, and elimination of cost-of-living adjustments. The OPM falling in step with the White House’s budget policies gives rise to the probability of the administration’s proposed pay freeze for civilian employees becoming a reality. On the other side of the aisle, Government Operations Subcommittee of the House Oversight Committee chair Gerry Connolly (D-VA) commented that “It’s the wrong thing to do and the wrong thing to do.” Back in December 2017 it was reported that Gerry Connolly was one of four Congressmen who sent a letter to House leaders urging them not cut federal employees pay and benefits. One of the largest concerns of the four Congressmen—also including Jamie Raskin (D-MD), Steny Hoyer (D-MD), and Elijah Cummings (D-MD)—is the ability of government agencies to retain and recruit talent moving forward. In our era of extreme political polarization, this legislation is certainly no exception. Most Republicans are lining up with the President on the side of cutting into Federal Employees pay, and benefits in the name of lining up those benefits with the private sector and cutting into government spending while Democrats vocalizing their opinion are deeming the proposed cuts a betrayal of the promises made to middle-class federal employees. The two sides also do not agree on the OPM’s assertion that these cuts will, in fact, bring the retirement benefits of federal employees with working people in the private sector. Many of men and women employed by the federal government have spent the majority of their working life under the assumption that those benefits established for their retirement were not at risk of being adjusted and reduced based on a changing political landscape. The 2018 mid-term election is just months away now. The focus of the media is largely on the Russia investigation, Michael Cohen, Stormy Daniels and the ever-flowing Twitter stream of the President. However, it is the economy and how people perceive the government is looking out for their interests that motivates how American’s vote. As the campaign season heats up expect to see more frequent mention of legislation like A Framework for a Unified Conservatism. How Medicare Works with Self +! Health expenses are increasing with no real signs of slowing down any time soon. And for seniors, the costs can be astronomical. Of course, most employees and retirees when they turn 65, will see Medicare covering most of these expenses. It’s not a gift because they paid into the Medicare fund while they worked and had employer-matching contributions paid. Before employees and retirees turned 65, the FEHB or Federal Employees Health Benefits program would pay up to 75 percent of the premium. What happens to the coverage when the person turns 65, and they are Medicare-eligible? Simply put, the FEHB coverage will end, and Medicare is now the primary payer. FEHB premiums will still go to the insurance companies even though Medicare is taking care of the majority of the bills. In the yearly published “Guide to Health Plans for Federal Employees, there is information from the Medical Expenditure Panel Survey from the Health and Human Services Agency on Healthcare Research and Quality. To use Blue Cross basic, which is a very popular FEHB option, the federal government pays yearly premiums of a little more than $17,000 to the insurance company for every couple – no matter what the age status is for either person. Now, given that the yearly health expenses of a couple is more than 21,000, the $17,000 the government pays is not enough to cover a person 65 and older. The costs, however, are offset by the younger insureds’ costs. Don’t forget the Medicare payments for members 65 and older. Medicare pays the majority of their bills. For instance, a $100,000 hospital bill is primarily taken care of by Medicare except for the $1,300 deductible. This amounts to 98.6 percent of the bill getting paid off. For non-hospital or doctor expenses, Medicare will pay 80 percent. Once Medicare makes payments, the costs for people 65 and older tend to decline significantly. If 55 and under are over one-third, the total average is likely to be lower if the Medicare group is larger. For the 55 to 64 group to increase, it would have to increase the total overage but not near as much. With every group being one-third, the $9,711 expenses are much less than what Blue Cross pays off the $17,233. The federal community knows that extra FEHB premiums are addressed by seniors through the Medicare dividend and is applied to the whole pool. Thus, every one attains a lower premium. The Office of Personnel Management completely supports this belief. When looking at the $17,233 premium for self +1 against the basic Blue Cross $9,711 average net costs, it’s clear to see this isn’t going on. It appears the premium is much less. When the self +1 level began, there was some concern. However, it looks like the issue is the result of not applying the Medicare dividend to the premium decrease.